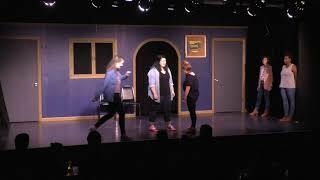 The Pussies all met in the summer of 2014 while taking classes at The Improv Shop in St.Louis, MO. We became a team(and bff's) in February, 2015 and graduated from the training program in May 2015. We have been performing at the Improv Shop and various venues in St.Louis since June 2015, and auditioned for the Longform Showcase at the Improv Shop that November. We had a 6 month run where we performed twice a month on Saturday nights. We performed for the Compass Improv Festival in St.Louis in November, 2015 and we are excited to perform for the festival again in 2016!